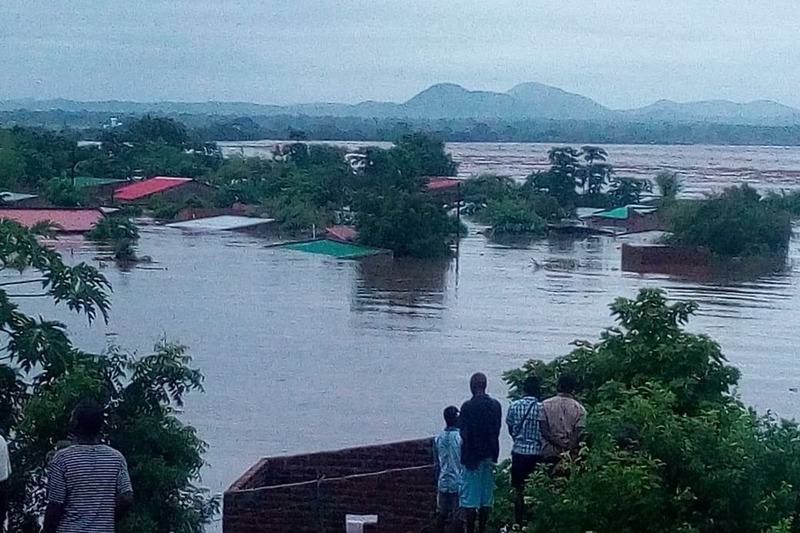 Tropical Cyclone Idai has hit most parts of the Eastern Highlands in Zimbabwe - Chimanimani, Mutare, Mutasa, Chipinge and Zimunya. There are many fatalities. People have been urged to go to higher ground. Some are sheltered in hotels or makeshift areas. There is no food or clean water. We will work with Sean Mullens who is a Pastor at One Church in Harare and Jacque Rowe Anderson who heads the Miracle Missions in Zimbabwe. They will coordinate the efforts together with other relief agencies to see where exactly the need is most. We have worked with One Church during other emergencies before and we have great trust in their ability to get aid where it is needed. 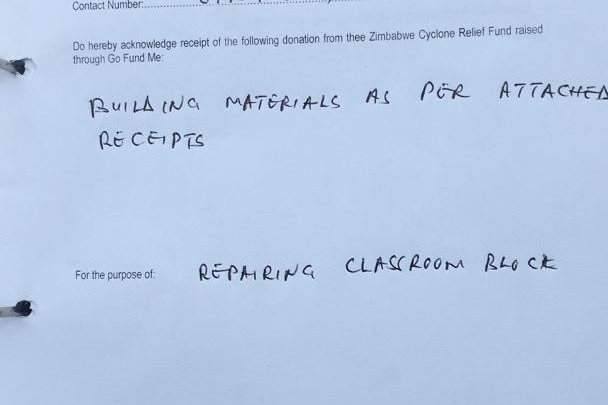 The money will be sent to Zimbabwe through either WorldRemit or Mukuru.com. We are in negotiations with Mukuru so that they may not charge us fees on humanitarian grounds. All the food & supplies will be bought in Zimbabwe and then transported to Chimanimani and Chipinge for distribution. My name is Freeman Chari, I am a Zimbabwean based in USA. I went to school in Manicaland and we used to travel to places in Chimanimani and Chipinge like Biriiri , Mt Selinda nad Chikore for sports. The predicament they are in requires that we use whatever means is at our disposal to help. I have coordinated a number of relief and emergency efforts in Zimbabwe through this platform. I will be working with other volunteers to fundraise but ultimately, I will be responsible to account for every cent raised on this platform. Like we have done with these other Zimbabwe Freedom Fund and the Cholera Relief Fund we will provide regular updates and accounting to the satisfaction of the donors. We will try to keep records of each transaction, the food purchased and any other costs incurred. Those will be shared here and an accounting breakdown too. Thank you all for the support. We reached the $100K milestone. The work at hand is huge. From food and trying to get people's lives back on track. So if you can still contribute, I urge you to. So far we have used this money for Food and drugs ($32K) and reconstruction efforts ($18K). I have been posting the efforts here, Twitter and Facebook for total transparency. I will be posting the receipts & the acknowledgements so that you too can have the peace that your donations are reaching the intended beneficiaries. 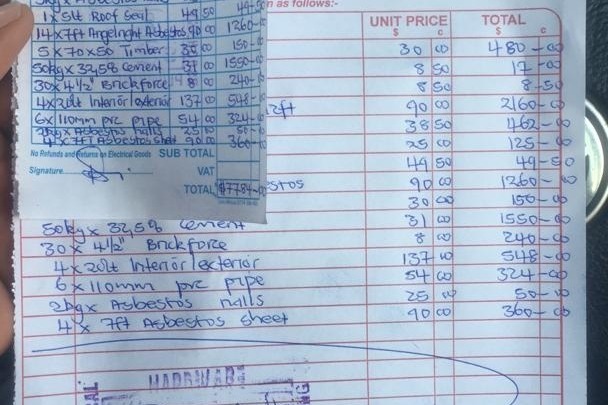 I post the materials and receipts publicly on my Twitter and Facebook. Miracle Missions and One Church have been doing an awesome job of availing food and drugs to the communities. You donations have been extremely useful. I will be posting the receipts, photos etc of what your particular donations to this GoFundMe has contributed to the broader efforts. 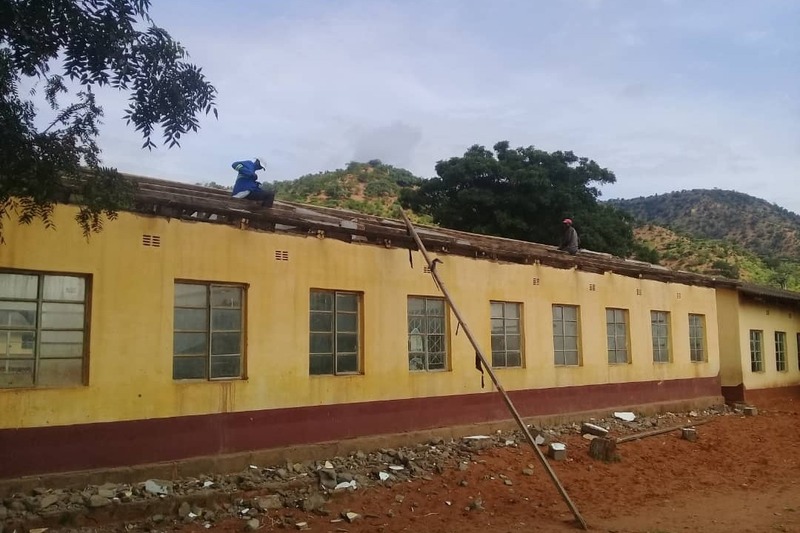 The picture below are efforts going on at Rimbi Primary School. Thank you all and let us keep going. We are just $800 from our $100K goal. Thank you all that have helped us. May you be richly blessed. A quick update on what we have done this week. There has been a lot of food donations. ZINWA has started to drill boreholes around Chimanimani. One of the challenges facing the community are lack of toilet facilities as a lot of them were destroyed by the floods. We delivered materials to build Blair toilets at Ngangu Primary School. 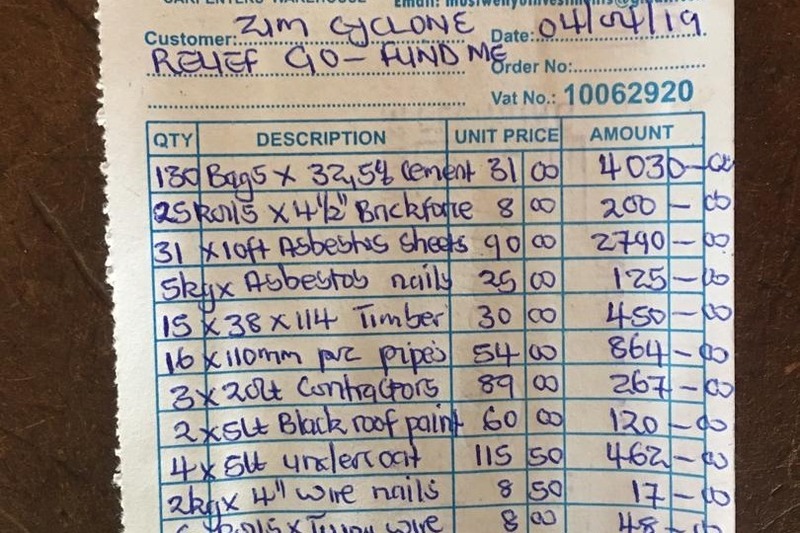 The total cost was about $3000 (RTGS$9554) excluding labor. We had undertaken to assist about 5 patients who needed to undergo fixation surgeries at Mutare Gen Hospital. 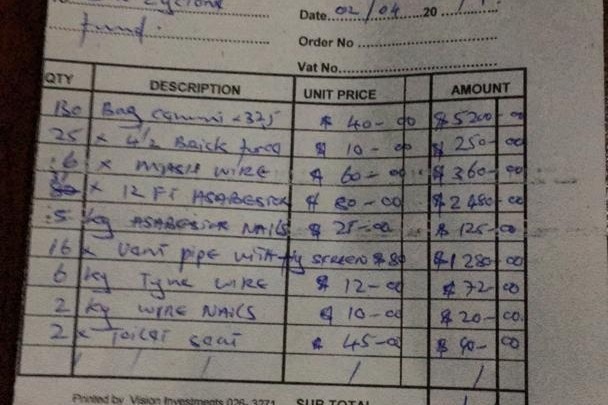 Fortunately, SIGN Fracture Care International came through and bought the needed supplies - we were saved $3000. There is a lot of damage and a lot of broken families. On-going support especially with rebuilding lives will be critical. We are not sure if people will be resettled or not. If they will be, then it will be a whole new level of needs for the families. 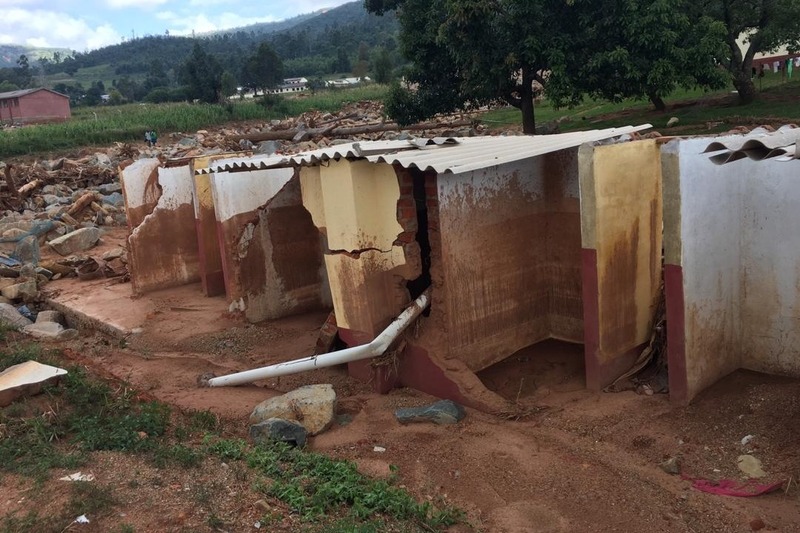 A few days ago I posted pictures of the destroyed toilets at Ngangu Primary School. People are using a makeshift pit covered with a black plastic. This poses a huge health risk. Today we met with the school, the builders and the local council officials. 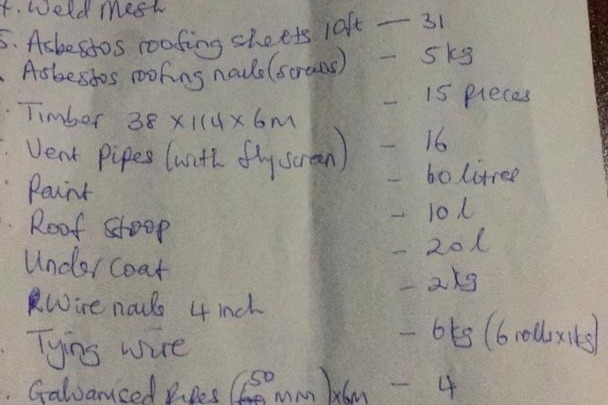 We are going to build a 16 hole block of toilets at Ngangu. ZINWA has already drilled the borehole. Next step is for the local authorities to do their water table analysis and give us an appropriate site. We hope to start digging on Friday. 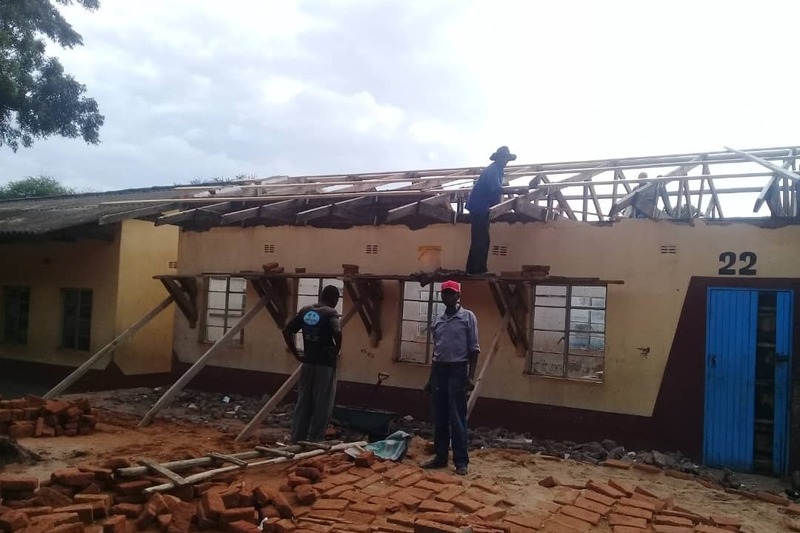 We were in Bikita last week were we met with the DA and assessed the damage to the schools and community. We have also been to Chipinge and met local authorities. We will be making small but impactful interventions to help the communities. Water, Food, Shelter and Health remain our focus. 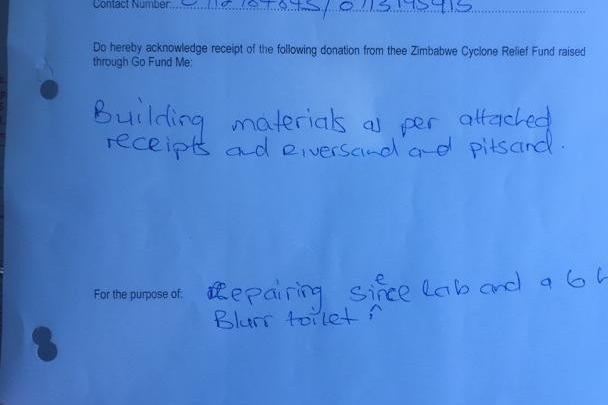 I have posted the projected costs for the Ngangu toilets which are quoted in Zimbabwe's RTGS dollars, which convert between 3 - 4 times to a US dollar. Good People, the beauty of these funds is that when the need arises we don't need to knock so many offices and sign so many papers to get things done. I just want to update you that this Fund has started it's work. We have about 20 doctors that are deployed in Chimanimani & Chipinge. There is a huge need for drugs, bandages and other medical supplies. We have paid for some of these. I will give you the full update soon. There is a lot that needs to be done. There is also a lot of grandstanding and egos flying around but in the end we have to focus on helping the people. So those who can let's donate and hit the $100K mark. Those who can donate again that would be beautiful, also help by sharing and telling our friends. We are now entering the most critical time, where the cameras turn away and the people are on their own. We need to be there with them!